Why invest in a headset? What are the three leading brands? There are two types of headsets you can choose from. These include monaural headsets (one earphone) or binaural headsets (two earphones). Both types will have an adjustable microphone boom attached to them. 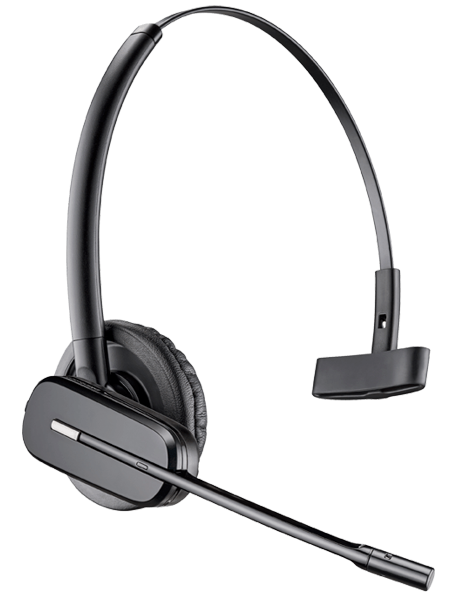 Headsets are compatible with desk phones, DECT phones, mobiles or your PC/Mac desktop computer or laptop. The key benefit of using a headset is that you can stay hands-free whilst working. This leaves you free to perform other tasks such as writing, moving around or simply making a cup of coffee. When using a traditional handset, many professionals speak on the phone by hooking the handset between their ear and their shoulder. If this is done for prolonged periods during the day, this position places pressure on your spine, causing tension, blockage, torticollis, tendonitis, etc. Not only does the use of a handset keep your back straight, it also leaves you free to perform other various office tasks. In addition, you are able you hang up calls remotely, adjust the volume or turn off the microphone directly from your headset. The majority of professional headsets come equipped with acoustic protection. This preserves your hearing by removing the effect of echoes and sudden, loud sounds. Furthermore, headsets with noise-cancelling microphones eliminate background noise. Do I Need a Corded or Cordless Headset? The best option for professionals who will not usually need to move from their workstation. Corded technology also offers the best sound quality. These headsets would be best for a sedentary salesman, reception workers, call centre workers or administrative staff. The best option for professionals who depend on the freedom to move in order to carry out their job. Depending on the specifications of your headset, there are some cordless headsets on the market that can achieve a range of 180m from your phone. In addition, you are able to pick up, or hang up a call from your headset. The best option for professionals who work in relatively quiet environments. Additionally, they are appropriate for those who need to remain attentive to their surroundings whilst they are working. Ideal for those working in an open space or a noisy environment. A binaural headset minimises noise in your surroundings, therefore leaving you to be focused on your phone conversation. Which Device Do You Communicate With? Most corded and cordless headsets are compatible with desktop phones. For a corded headset, you will need a to ensure your desktop phone has the appropriate headset jack (usually 2.5mm on most phones, however some may have 3.5mm jack). Adapters are available from major headset manufacturers if compatibility is an issue. Only DECT (Digitally Enhanced Cordless Technology) compatible cordless headsets are compatible with Wireless DECT phones. Please read the specifications before purchasing a headset carefully if you require this sort of connection. Corded headsets however should be easily connectable to a DECT base station through a headset jack. 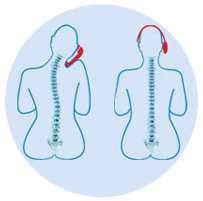 Cordless headsets which are Bluetooth enabled should have no issue connecting to modern mobile phones and smartphones. Neither should corded headsets. Although, please check the jack size as most mobile phones nowadays come with a 3.5mm jack. Cordless headsets are easily connected to a PC or Mac through a USB dongle. This may be included with your headset or sold separately by the manufacturer. 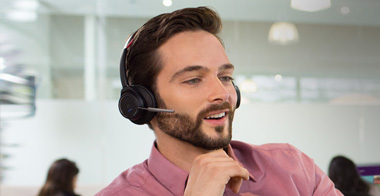 For corded headsets, connection to a PC or Mac should be simple via purchasing a headset with a USB connection. Want to connect your headset to multiple devices? For cordless headsets, there are models available which have base stations that are easily connected to both desktop phones and computers. 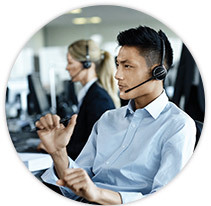 For corded headsets, a Quick Disconnect (QD) cable enables you to connect to a desktop phone. Your desktop phone and mobile handset cannot both be connected to a corded headset simultaneously. You will need a cordless Bluetooth headset in this instance, with a base station. Both your desktop phone and mobile can connect to the base station via Bluetooth (for the mobile) and a wired connection (for the desktop phone). Simply connect your cordless Bluetooth headset to a PC/Mac via a USB dongle (available with the headset or separately). For a mobile phone, your Bluetooth headset will pair directly with it. There are however some corded headsets available with dual connection to PC and mobile, via USB and jack. Some may come with a Bluetooth function on the volume rocker keys. There is no corded solution to connect to all three different devices to a headset. In order to connect to all three, you will need a cordless Bluetooth headset with a base station that is compatible with all three devices. How frequently do you use a headset? Onedirect recommends a robust headset that will stand the test of time even with heavy usage. Onedirect recommends a strong, lightweight model with a good battery life. Entry level models of headsets are the appropriate and economical choice for non-intensive use. What are the three leading headset brands? Plantronics is an American company founded in 1961 and initially dedicated themselves to the manufacture of electronic products for the aerospace industry, including NASA. 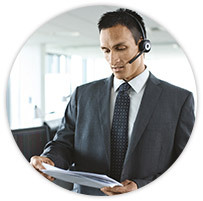 Today, Plantronics is a world leader in lightweight headsets for telecommunications. Jabra, GN Netcom formerly, is a Danish company founded in 1869 as Telegraph Company . Since 1986, the company has sold headsets around the world. It has been considered a world leader in this field ever since. Sennheiser is a German company founded in 1945, initially known for its expertise and for the quality of its microphones. Their innovative work on sound communications naturally led him to build high-performance headsets for telephony. Some headset accessories are essential in order to pick up and hang up remotely. Other accessories allow you to make better use of your professional telephony. To connect the headset to your phone or PC or mobile phone, you need a cord. Handset lifters enable you to answer the phone using a cordless headset while away from your desk. Electronic hook switch cables enable the base station of your headset to answer or hang up a call from your desktop phone, on your command.